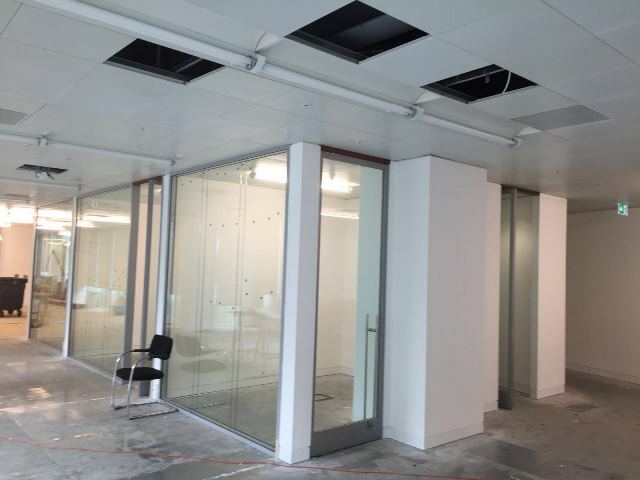 Office fit out including complicated wall design, irregular shaped with many small fins and nibs to incorporate glazed screens and doors. A specialist team carried out alterations to Armstrong metal ceilings and installed Rockwool Fire Barrier to ceiling cavities to meet current standards. 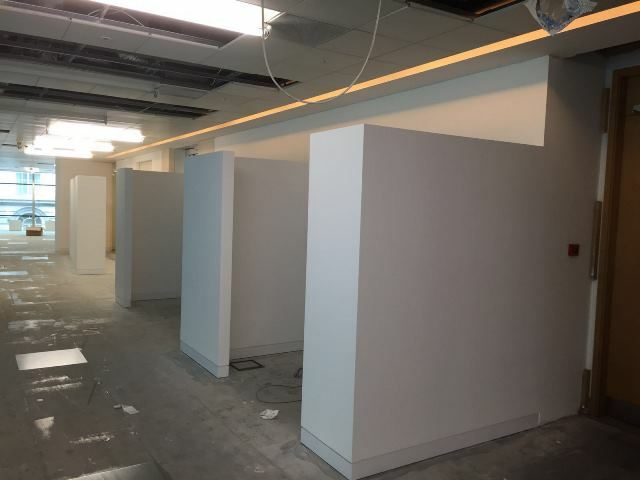 Our walls included skirting with a shadow gap detail throughout, tape and jointed to give an exceptional finish.